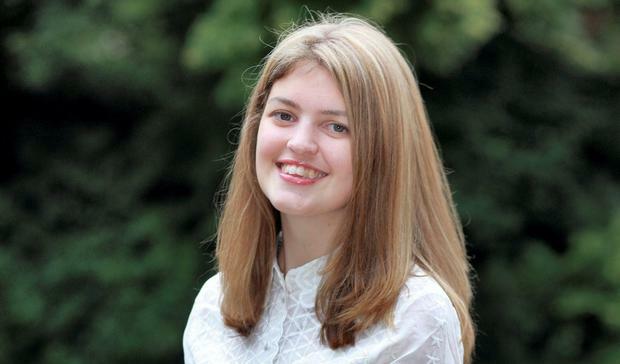 Double-lung transplant and cystic fibrosis campaigner Orla Tinsley is back in hospital after a health setback. Last December, she celebrated her first year since her life-saving operation but over the weekend she marked her 32nd birthday in enforced medical isolation. The campaigner, who now lives in New York, took to Twitter in the early hours of Saturday morning to say she was "thankful to finally get a bed today. Thankful to those who worked hard for me to get it". "Thankful treatment is working and will be well soon. Thankful for all the people who wished me happy birthday," she wrote. She revealed she had been in an ER cubicle for three days before a bed was found for her. "Construction has just begun on the floor above my ER cubicle. They are drilling loudly. It is my third day in the ER," she tweeted. Ms Tinsley said she was now in an isolation room. She added that she was "surprised at how often I had to repeat 'transplant patients need isolation'", and thanked patient services for its support. She received scores of messages hoping she gets better soon and wishing her a happy birthday. The Kildare-born journalist has been at the forefront of the fight to improve services for CF patients. Her campaigning was instrumental in the opening of a dedicated CF unit at St Vincent's Hospital in Dublin.